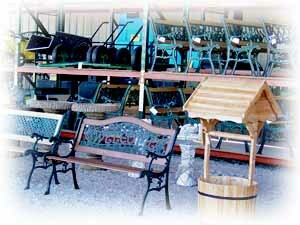 Now is the time to visit Big R's Lawn & Garden Department. You'll find everything you need with a broad selection of fertilizers, flowers, trees, shrubs, pond supplies, landscaping fabric, hand tools, patio furniture and more! Select from name brands you know and trust such as Union, Ortho, Scott s, and Rainbird to get your lawn and garden picture perfect! Big R's power tool selection includes lawnmowers, tillers, weed eaters, hedge trimmers, edgers, pole trimmers, blowers and chain saws. We also carry over 25 kinds of masonry bricks for building! Come and see why BIG R is serious about Lawn & Garden!